I took a break from my weekend planning routine, and handed over the baton to B this time. Before I could blink, he proposed a visit to Katraj Zoo. Although I was initially reluctant to head there on a Sunday afternoon (conjuring up images of a crowded space), I decided to “let go” of my worries. Whew! That’s a toughie for me! Junior had already visited the reptiles section of the zoo during a school field trip, and was excited at the prospect of seeing the slithering creatures a second time. 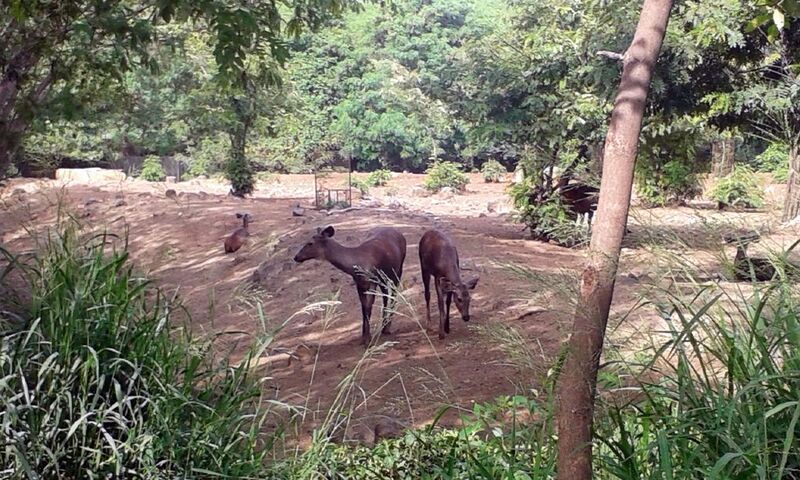 The Rajiv Gandhi Zoological Park and Wildlife Research Centre, commonly known as Katraj Zoo, is located on the Pune-Satara road. It was originally a snake park. 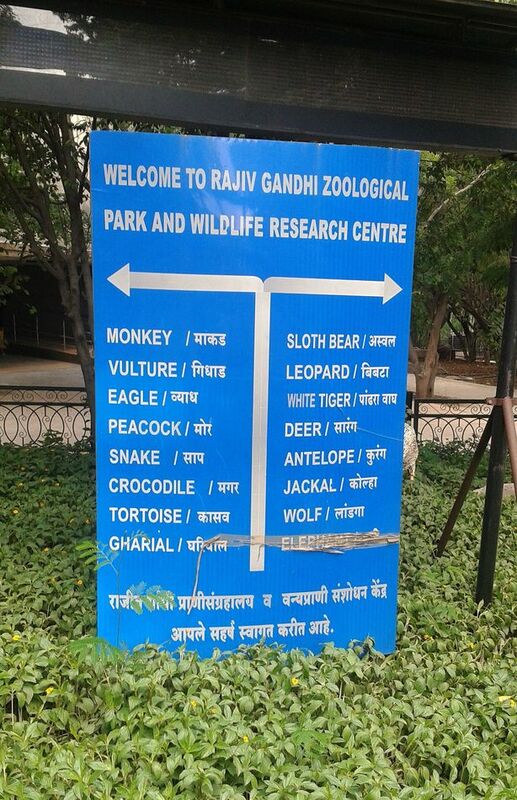 Later, the animals from Peshwe Park (the former zoo in Pune) were moved to the Katraj campus, and today, the vast area houses numerous reptiles, animals, and birds. In addition to the snake park and zoo, an animal orphanage is also located here. We glanced at the long serpent-like queue at the ticket counter and wondered if this was the only reptile we would see today. Well, the queue moved very quickly, to our complete surprise, and soon, we were inside the zoo. The reptiles section is a small space and not built for weekend crowds. 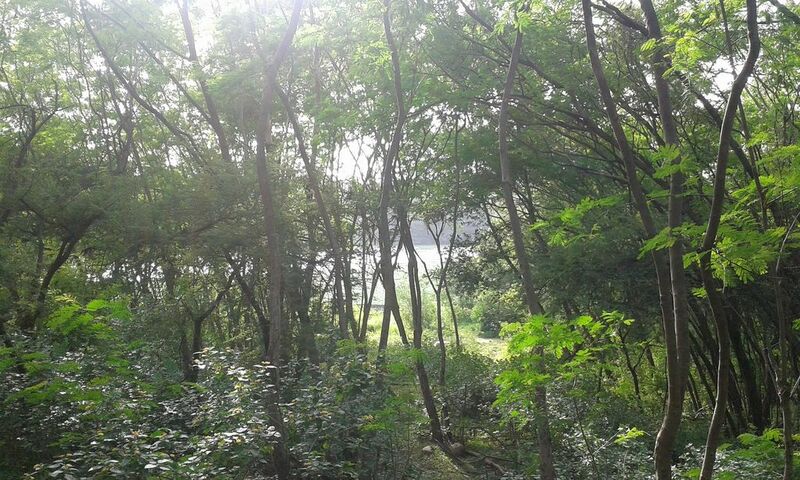 We managed to catch glimpses of a python, cobra, and viper; then, crocodiles and tortoises. 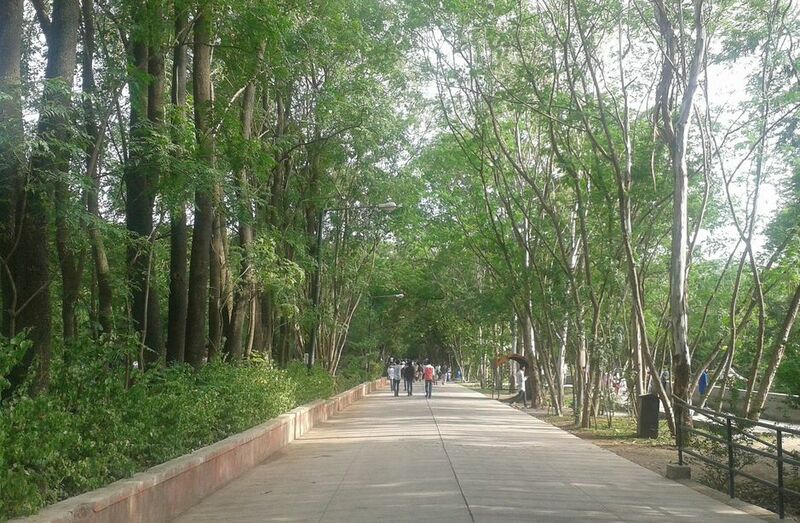 As we headed out of this section and into the open spaces of the huge campus, I was able to breathe more easily :). The wide paths lined with trees and the big enclosures for animals were a welcome sight. 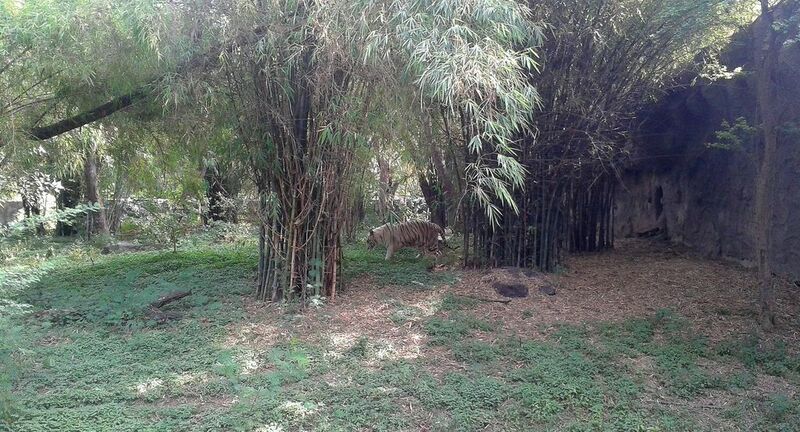 It was a long and pleasant walk around the zoo as we watched a white tiger pacing back and forth, some Indian gaur staring into space, a few spotted deer enjoying a siesta, and several monkeys swinging merrily. A sloth bear climbed a tree and began to break a few branches. Junior was excited to see the jackal (who reminded him of Chamataka from Kalia the Crow stories). Zoo shuttles (battery vehicles) are available to transport visitors around the vast space. We preferred to walk and took a break whenever we needed one. There are several spots where you can give your tired feet some rest. 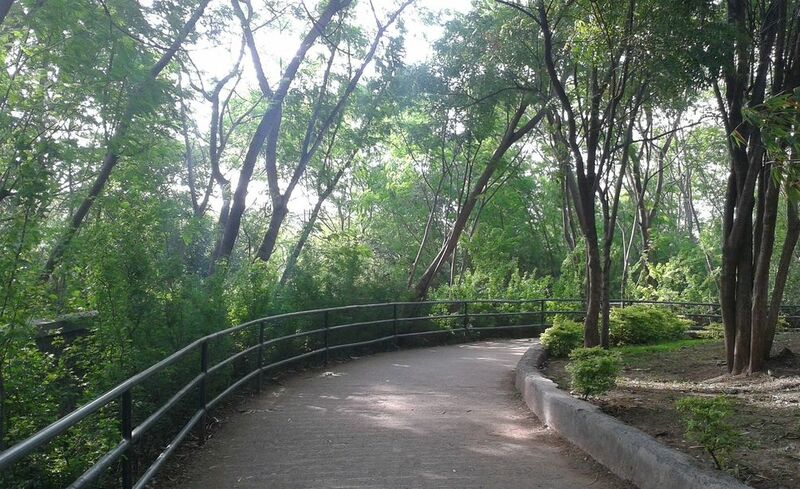 The Katraj Zoo campus is beautiful, green, and clean. It attracts many visitors during the weekend, a factor to consider while planning a visit there. The path through the zoo campus is approximately 2-2.5 km in one direction, and the return route is along the same path. – Zoo shuttles are generally available (separate tickets) if walking the entire distance is not a feasible option. Please enquire about this option at the ticket counter.